Most people know how ransomware works; after it infects a machine, the malware encrypts files, or the entire system, and the decryption key will only be released once a person pays the ransom. But rather than handing over some Bitcoins, a new kind of ransomware asks victims to reach a high score on an incredibly difficult game before unlocking the files. Anyone who finds that “Rensenware” has made its way onto their computer will discover a typical warning that "your precious data like documents, musics, pictures, and some kinda project files" have been "encrypted with highly strong encryption algorithm." 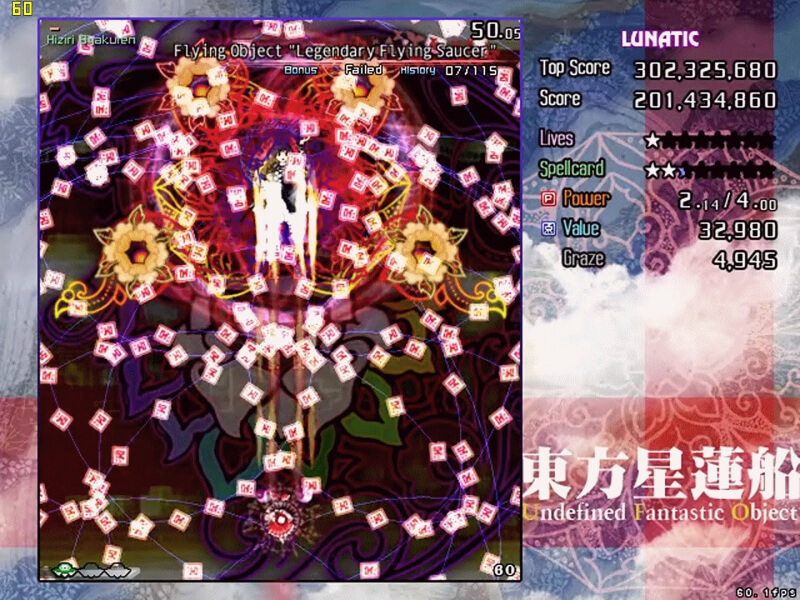 The only way to release them is by scoring over 200 million points in the anime-style, bullet hell shooter Touhou Seirensen (Undefined Fantastic Object)'s "lunatic" level. Rensenware, which itself is a pun on the 2009 game’s name, was created as a joke by a Korea-based undergraduate student who goes by the name Tvple Eraser on Twitter. Kotaku spoke to the creator, who admitted he couldn’t reach the required score and that he’d accidentally infected himself while programming the malware. After uploading Rensenware’s source code to Github, Tvple Eraser fell asleep. Upon waking, he found it was spreading fast. “I realized that it [had] become a huge accident and [was] confused,” he said, before admitting that the exact number of infected machines was unclear. Once the malware was traced back to Tvple Eraser, he removed the original code from Github and posted an apology, along with a “forcer” tool that circumvents the encryption without the need to play the game. "I'd like to apologize [to] everyone for making [them] shocked or annoyed," the apology read. "Ransomeware is definitely kind of highly-fatal malware, but I made it. I made it for [a] joke and just laughing with people who like Touhou Project series," he wrote. A new, “cut” version of Rensenware that doesn’t include any forced encryption is now available on Github to show off the software. Check out the video below to get an idea of just how hard it is to unlock the original Rensenware.